This morning on the (frequent) bastion of sanity that is NPR, Alex Chadwick asked Louisiana Governor / insane person Blanco this question: "This is hurricane season again. 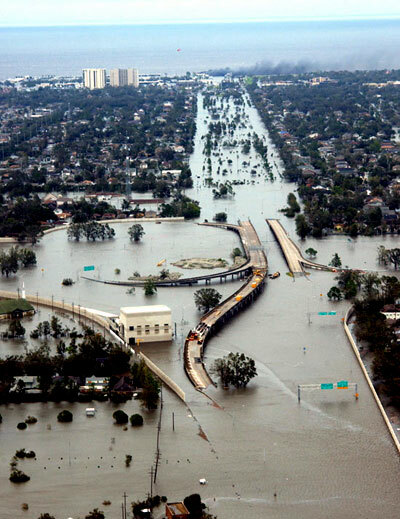 What would happen if another hurricane hit Louisiana?" "We're praying the hurricane away." Q: What did Iraq have to do with that? Q: The attack on the World Trade Center. BUSH: Nothing, except for it's part of -- and nobody's ever suggested in this administration that Saddam Hussein ordered the attack. Iraq was a -- Iraq -- the lesson of September the 11th is take threats before they fully materialize, Ken. I think Bush is about to totally lose it and go beserk -- will someone take him out before it comes to that? !